The Ramblers and Macmillan Cancer Support concluded in their “Walking Works" report that walking could transform people's health by decreasing the odds of heart problems and stroke as well as making a difference in conditions such as type 2 diabetes, Alzheimer's and many cancers. Moderate exercise is great for people with diabetes. It helps you to control your blood sugar levels, watch your body weight and fight fatigue. And walking is a great way to get more active - especially if you're starting from scratch. You can take it easy to begin with and build up slowly as you get better. If you don't walk already and want to find out how to get started, you’ll find lots of tips and advice on the ‘Walking for Health’ website at www.walkingforhealth.org.uk. 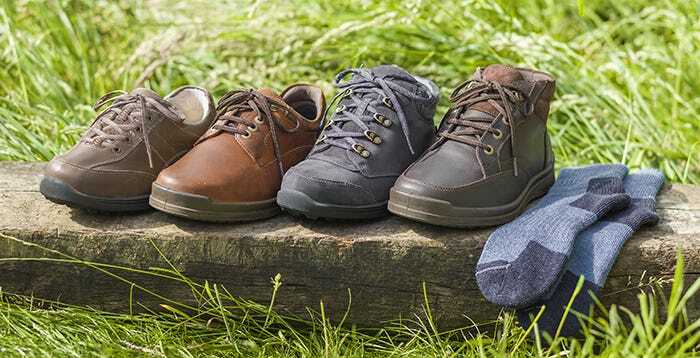 Click here to discover our CosyTex™ waterproof footwear.